NORFC traveled to Texas and won two tough games to win the Western USA bracket and advance to the National Final. New Orleans defeated a dynamic Sacramento squad on Saturday and faced off against familiar foe Dallas Reds for the 3rd time this season. NOLA held on to win in the blistering Texas heat. Next up for NOLA is Life University Running Eagles out of Marrieta, GA. The Championship game will be in Madison, Wisconsin on May 31st at 7:00pm. 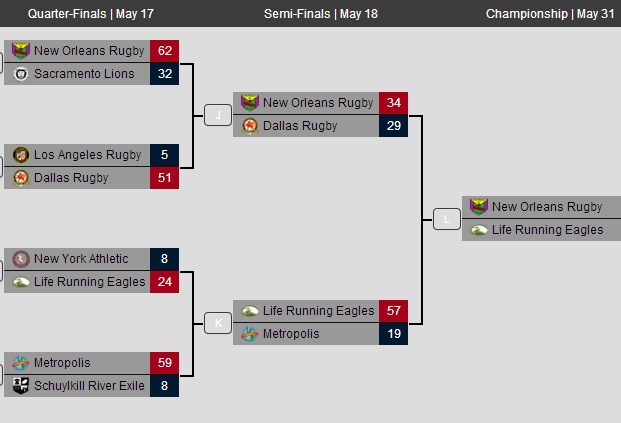 After a long challenging season, NORFC has won the Red River Rugby D1 Conference, advancing to the USA Rugby Playoffs, Round of 8 as Red River #1. The Western portion playoffs will be held in Dallas and the Eastern portion in Pittsburgh over the May 17-18 weekend. The Championship game will be in Madison, Wisconsin. 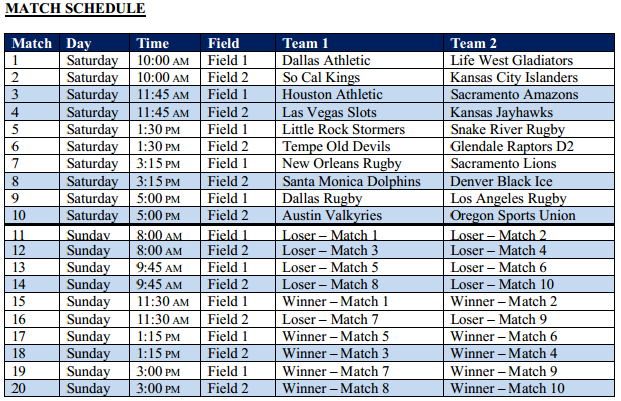 NORFC awaits its opponent from Northern California, which can be any one of 4 remaining teams (Sacramento, Santa Rosa, EPA Razorbacks, or Fresno).